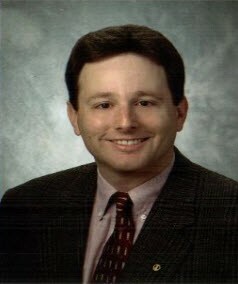 Dr. Mike completed his undergraduate degree at the University of Richmond. He went on to MCV School of Dentistry where he graduated with his Dental degree. Dr. Mike joined his father, Dr. Acree Link, and brother-in-law, Dr. George Jacobs, in their practice in 1985. Dr. Mike generously donates his dental services through the VDA's Mission of Mercy and Donated Dental Programs. He also participates in the Boys and Girls Clubs Give Kids a Smile Program. Dr. Mike is an active member of the Peninsula Dental Society, Virginia Dental Association, American Dental Association and the Academy of General Dentistry. He serves the dental community through active leadership in these Assocations and serving on several committees. Dr. Mike was appointed and served eight years on the Virginia Board of Dentistry. In his free time, Dr. Mike enjoys golfing, and spending time with his wife, Melissa and children, Joey and Megan.